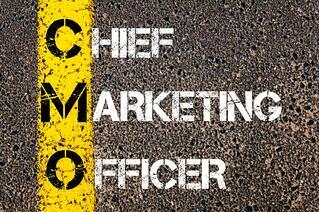 What Does a Fractional CMO Cost? What’s at stake? Are you making important, but minor adjustments to your go-to-market capabilities or seeking major growth, improvements and impact? How quickly do you need results? Will be looking for results to trickle in over time, or do you need big things to happen, soon? So again, what needs to happen as a result of this hire? 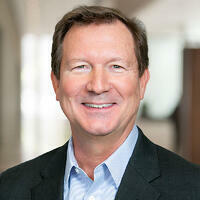 An incremental improvement in your marketing performance, or a sea-change shift in your growth trajectory? One direction might lead you to trying a few options to get the most cost-effective fit, the other may be so strategic that you’d invest some percent of the future value of increased revenues, margins and profits in order to reach a new capacity for growth. It’s important to generally pick one of these directions before proceeding to evaluate cost. Okay…So What Can You Expect to Pay? Partners from a large consultancy (such as McKinsey & Co, Bain) – the range here is quite large and sources vary on their reporting of actual fees. Having said that it’s not uncommon to pay $400/hr. for an MBA grad that’s staffing on an assignment, and over $1,500/hr for a partner-level management consultant who might play the fractional CMO role. 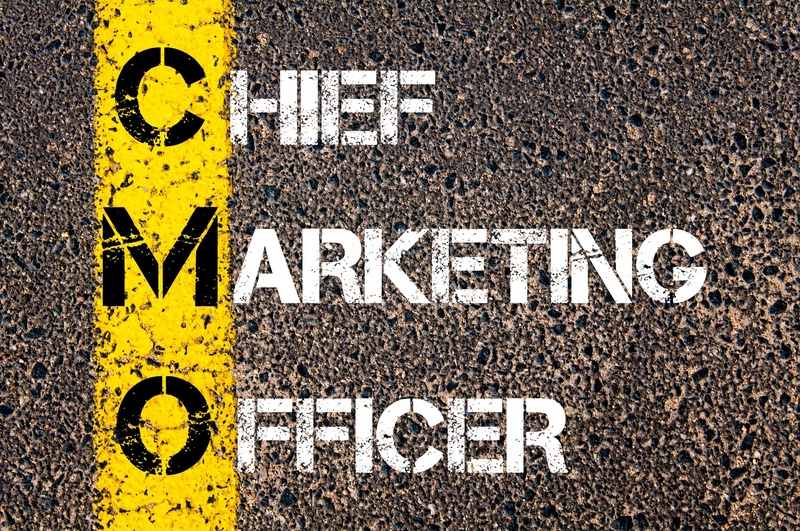 While it’s true that your fractional CMO may require additional budget for marketing programs or even organizational development, in many cases your fractional CMO’s first impact will be shutting down all the spending that isn’t delivering a return. 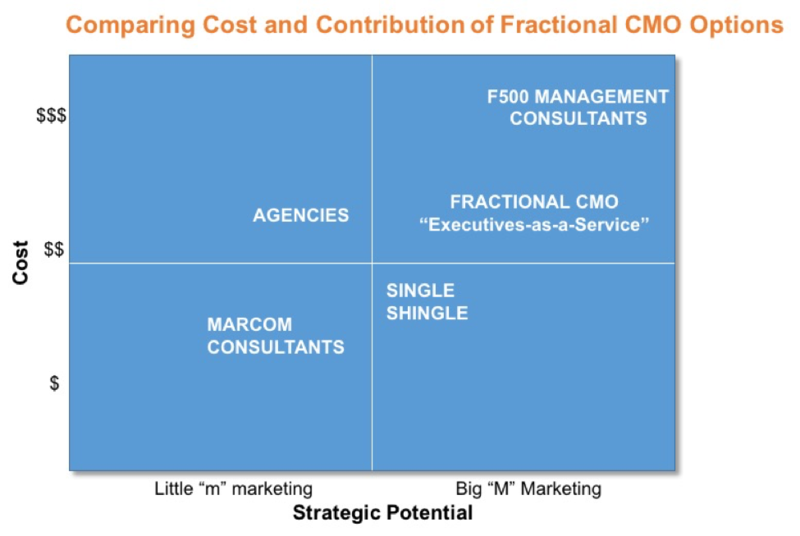 In addition, it’s important to remember that a fractional CMO’s job is to get in, and get out, so your expense for the role is not on-going, yet the benefit of the strategic impact is likely to last into the future, delivering even more benefit after your fractional CMO engagement has concluded. “Marketing” is a term with a broad set of definitions. One way to think about your marketing needs is to think of the communications and promotional side of marketing as little “m” marketing. And the strategic side of marketing (markets, competitive positioning, channels, products, pricing, etc.) as Big “M” Marketing. In conclusion, you have options. Don’t overspend on your requirements, but don’t underinvest when you have much at stake. My partner and I published our first book largely on this subject, The Growth Gears. You can read the first chapter for free here. Let me know what you think, and how we might help you.